You are currently browsing the Archaeofacts.com archives of Musings for the day Monday, January 21st, 2019. Note sunshine. What you can’t see is that the temps were around 30. I even found an icy slick on a sidewalk (just one), I think where an irrigation system was leaking. Perhaps because it was cold, below freezing cold, last night. 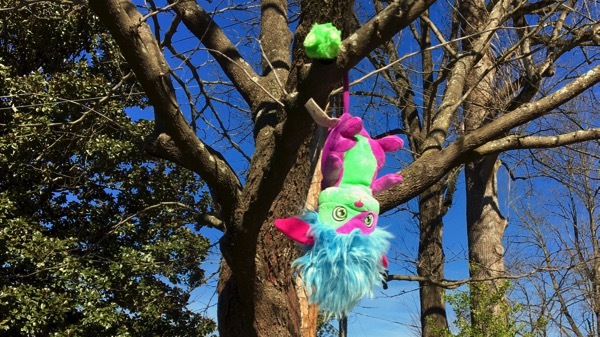 I think this critter got lost from a stroller event, and someone put it here above the sidewalk (no slick below) so it might get found…. 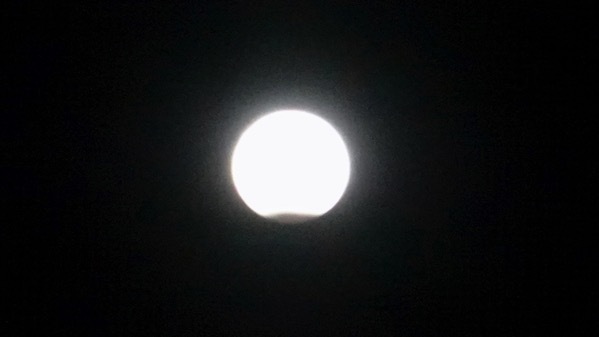 Speaking of last night, at 10:30pm we went out to see the super blood wolf moon (or perhaps in a different order?) in partial eclipse. Just try saying that three times fast! The blood part isn’t apparent in the photo; I did see a red tinge.